Get ready for the 100 squat challenge yoga inspired! You all loved the first two 100 squat challenges that I decided to do another one. You will love this squat challenge because I have added yoga moves to the squats for a great focused and effective workout. Do each one 20 Times for a total of 100 Squats! 1. Squat exercises help build muscles throughout your body. – Squats are great for your legs but they also workout your whole body, simulate muscle and tissue growth and improve your strength. 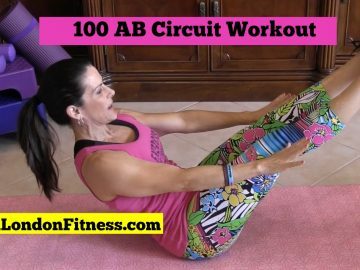 You are pulling in your abs and tiny stabilizing muscles. So this is a great all over body exercise. 2. Doing squats helps to burn fat and lose weight. – Squats not only tone your body but burn calories too. It takes a lot of energy to do squats, you are using your bodies largest muscle group. They get your cardio fired up and that equals fat burning. 3. 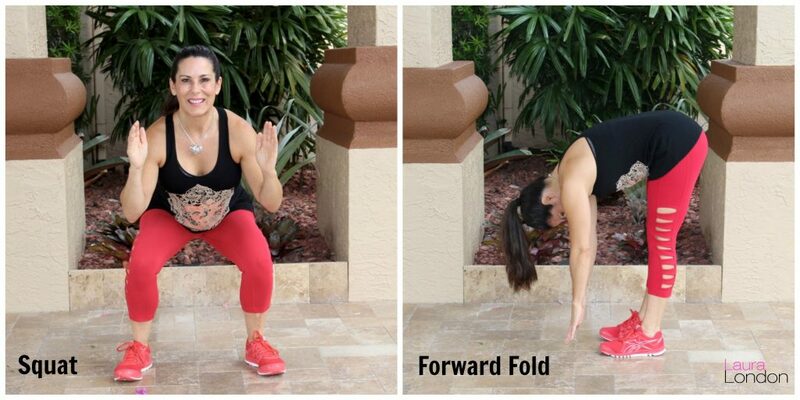 Squats exercises tone every square inch of your legs. – One of the greatest benefits of squats is that squat exercise tones your whole leg. Machines will use one muscle group but squats use just about every muscle in your lower body, plus you engage your abs to keep you balanced and upright. How great is that. 4. Squats can help your gut health and digestion. – Squats help you to remove waste from the body. The muscular action of the squat exercise improves the flow of fluids in your body and eases the passing of waste through your bowels, so it helps to keep you regular too. 5. Body weight squats are non-impact and don’t put a strain on your back. – Slow and steady squats are low impact and they do not put an excessive amount of pressure on your knees, ankles and lower back. Keeping your feet wide reduce the amount of pressure on your back distributing your weight. Nice vids, thanks for sharing! Yoga is great for stretching before a race. Choosing the right training plan is crucial. I’m training for a half marathon with SportMe marathon training app, which calculates distance, time, pace and calories. It’s so much fun. Takes focus and concentration and it is also very effectice. Win, Win Workout! Thank you Nancy. Enjoy and make sure to do the other squat challenges too.